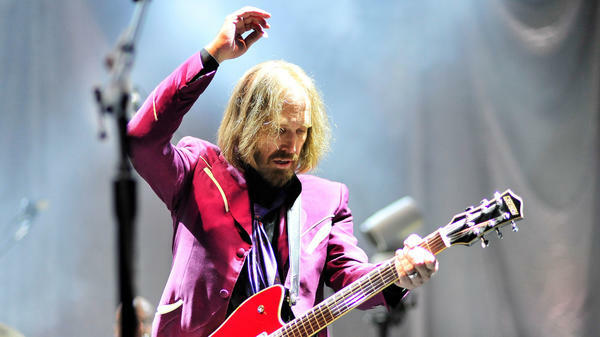 The archives of Tom Petty, who died in October 2017, have been trawled and the gems retrieved for a new box set coming this year. When Tom Petty died unexpectedly last fall, the 66-year-old singer left behind a nearly 50-year catalog, from early garage-rock excursions with Mudcrutch to inescapable pop hits with The Heartbreakers to gentle solo folk-pop material. His released archive is massive and formidable — and it's about to be joined by a box set with dozens of unreleased songs from across Petty's long career. An American Treasure's previously unreleased tracks include "Keep a Little Soul," a 1982 cut from the Long After Dark sessions that finds Petty in kindhearted, free-spirited, keep-your-chin-up mode. Accompanied by a video full of old performance footage and behind-the-scenes home movies, it's a sweet way to begin revisiting a career that could hardly be contained on a single box set.